The clock is ticking and we are moving closer and closer to this extremely important event for our sport. I wanted to take this opportunity to remind you that, if you have not already done so, you need to contact the FISU member organization in your country and arrange with them to enter your team. The deadline for filing the general entry form is March 2, 2006. You can download these forms from the FISU World Championships Website at: http://www.waterskichamps.com/entry-forms.html. However, only the FISU organization in your country can officially enter your team. The general entry is nothing more than an intent to participate and doesnt require the names of your athletes. 1) Find your country at one of these addresses on the FISU website. Note there is some overlap between the FISU Regions and IWSF Regions for EAME and the AA. If you dont find your country on one list, check the other. 3) Call or email them and let them know you want to send a team to the championships. 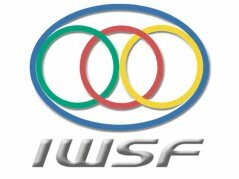 In 2004, there was a lot of confusion because many of the FISU national organizations knew nothing about the event until the last minute. This year should be different because the event has been on the calendar for well over a year and it has been well advertised. Skiing with us, in the NCWSA, USA right now, we have athletes from the following countries: Mexico, Chile, Colombia, UK, Switzerland, Italy, Belgium, Finland, Canada, Guatemala, Belarus, Australia, New Zealand, Denmark and Spain. Most of these athletes will already be in the states for the start of school and we can certainly help coordinate their participation. However, to get them in, you must begin the process now. To date, we have only heard from the United States, Canada, and Belgium. our future in FISU depends on it.